It’s understandable to try to save money with quick solutions. Waterproof coatings are often tried as inexpensive options. Unfortunately, they provide a temporary solution at best. Uninsulated alternatives are generally applied only on problem areas, without addressing the underlying reasons for leakage problems or improving the integrity of the roof. Within a short time, you’re spending more money, looking for another solution. How Much Have You Spent Trying to “Fix” Your Leaky Metal Roof? The wearing effects of time, weather, rusting, UV exposure, expansion and contraction will inevitably take their toll on a metal roof. If you’re working or storing important things inside, leaks can be a frustrating problem that requires more than a temporary fix. We address the problems of aging roofs with a comprehensive TPO Roof system specifically designed for retrofitting metal roofs. Without the cost of replacing or tearing off the existing roof, you can add important insulation, inhibit rusting and reduce expansion/contraction with a roof that can be guaranteed to last up to 20 years. PVC and TPO roofing systems can generally be applied directly over an existing metal roof. It begins with scored or beveled flute-fill insulation designed to fit the valleys of the existing metal roof. This can provide additional R-value to the building as well as support for the layer of insulation above. Next, mechanically attach an approved cover board or insulation board in a choice of thicknesses, depending on your R-value requirements. This insulation helps maintain a more consistent building temperature and can reduce expansion and contraction of the metal roof. Roof boarding is a lightweight cover board that can help reduce labor costs. Finally, the TPO roofing membrane is attached over the insulation or cover board. The TPO roofing provides a watertight barrier with strength, puncture resistance and UV protection. PVC and TPO may be heat welded, for seams that are even stronger than the membrane itself. The end result is a tough, durable system with exceptional weatherability. 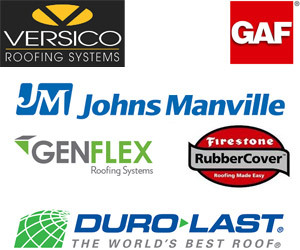 Your new roof is only as dependable as the people behind it. 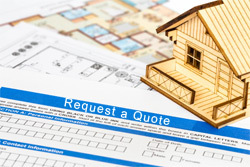 Culver Roofing has been a recognized leader in commercial roofing for more than 35 years. When installed by Culver Roofing Contractors, this TPO roof system can qualify for one of the most comprehensive guarantees in the roofing industry. With the highest quality products, single-source convenience, the industry’s best materials and labor guarantee and complete technical support, Culver Roofing Company is the logical choice for roofing performance and value. Are You Interested in an Energy Efficient Solution to Your Commercial or Industrial Property? A TPO Retrofit May Be The Solution! Call us today at 832-671-1357, or fill out the information below and one of our roofing experts will be in touch immediately.